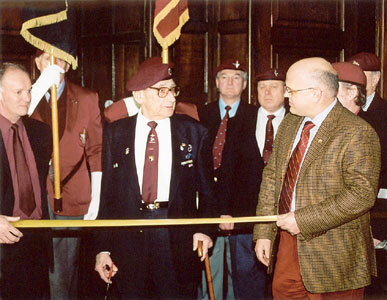 of the US 506th Parachute Infantry Regiment (PIR). Restoration is now complete and the stable is open to the public. Chaplin's room, which is located inside the house between the chapel and the display of Roman artifacts. 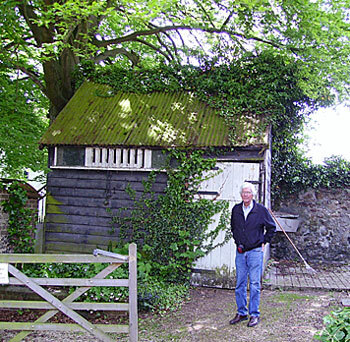 Above left: Ray Ward from the Toccoa/Stephens County Historical Society, Toccoa, Georgia, USA, pictured beside the Aldbourne stable at Hightown yard in June 2006. The society has on display at its museum in Toccoa a six stall Aldbourne stable block that was moved from England to the USA in 2005. 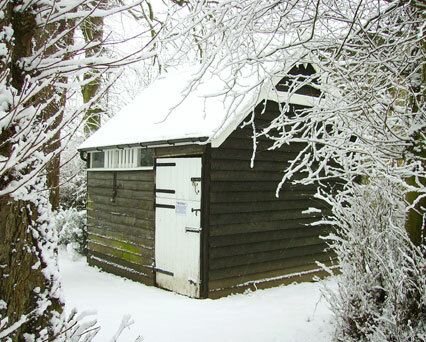 Above right: The former Aldbourne stable pictured in February 2007 at its new location in the grounds of Littlecote House. 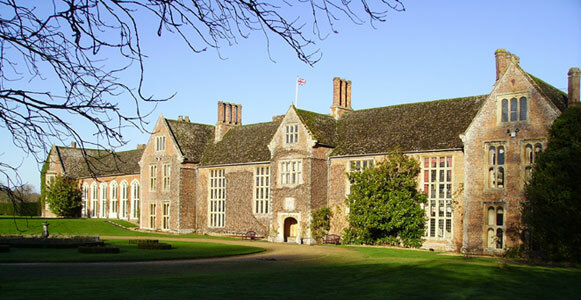 Below left: Littlecote House Hotel is owned by Warner Holidays and is situated 2 miles northwest of Hungerford, Berkshire. 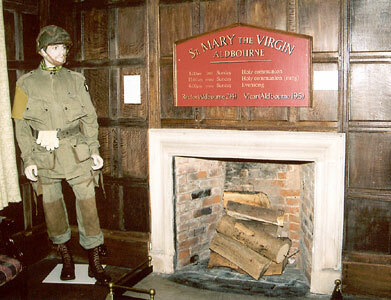 The house was used by the 506th PIR as Regimental HQ throughout its entire time in England. 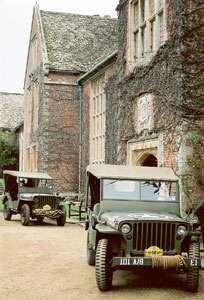 Below right: Two beautifully restored WWII Jeeps parked in front of Littlecote's main entrance. 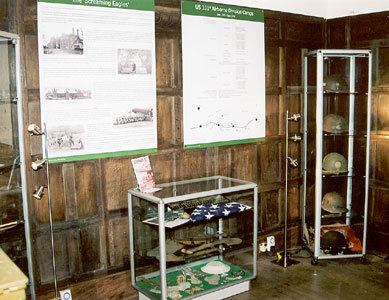 Above: Two views of 'The Kennet Valley at War Trust's' museum, which has recently opened to the public. 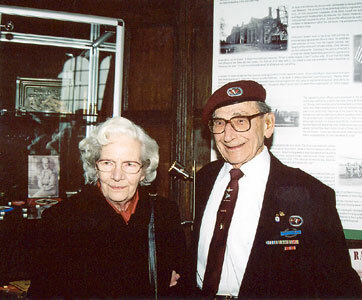 he is pictured in the museum with his wife Jean (note his WWII picture in the cabinet behind) and on the right is about to cut the ceremonial ribbon.